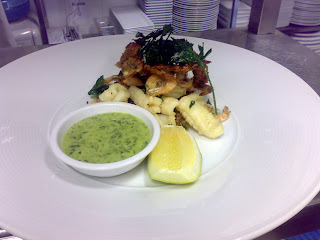 Pilu at Freshwater: Some new menu bits and specials! 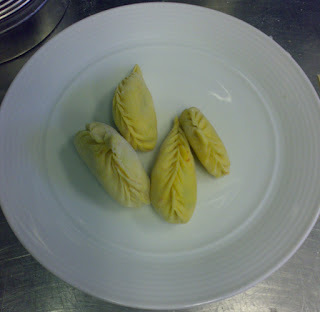 One of the sardinian waiters mother, gave us a lesson on how to make real sardinian potato ravioli's. Assagini. 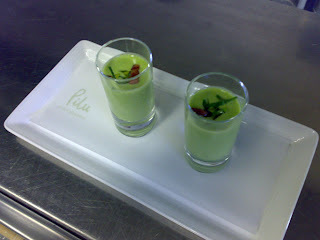 Fresh pea and pancetta soup. 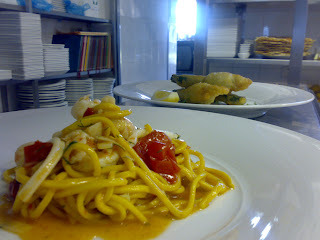 Saffron pasta and zucchini flowers. 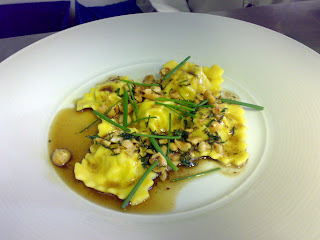 Spanner crab and prawn ravioli's, with roasted hazelnuts, burnt butter and chives. 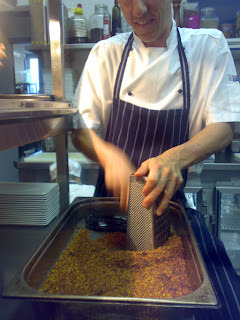 Mitch, grating Australian and Sardinian bottarga for pasta. Our new menu addition! 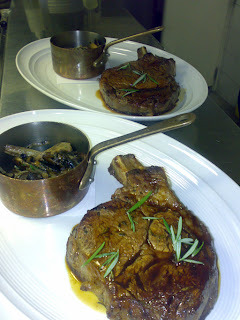 A 400g dry aged Beef rib eye! 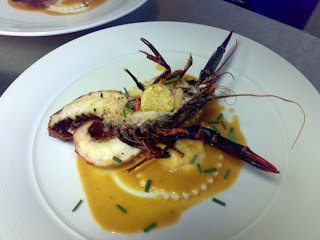 Ravioli's and grilled marron, with a prawn bisque.